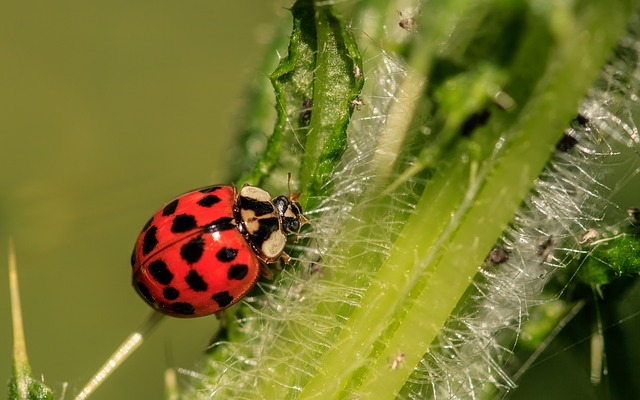 The ladybug, well-renowned for its red and black polka-dotted wings, is one of those pests that is worth having around. Their main diet consists of aphids, which are far worse pests in the garden or backyard, as well as other bugs that are a gardener’s worst nightmare such as white flies. There are many breeds of ladybugs native to Canada, but one of them that is not and is actually quite harmful to humans is the Asian Lady Beetle. You can tell the difference by looking at the ladybug’s markings behind its head. If there is what appears to be a black ‘M’ behind its eyes, it’s an Asian Lady Beetle (see picture below). 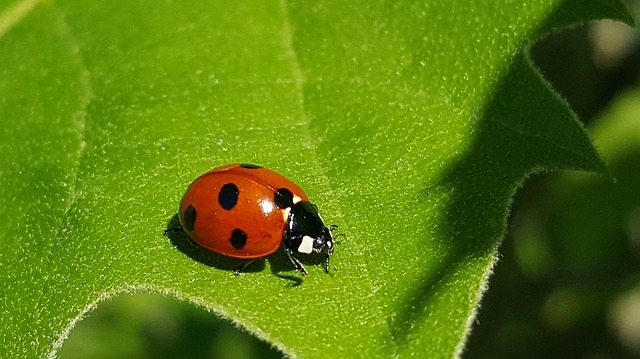 Ladybugs that don’t have this marking are regular ladybugs, which prefer to live outside and are incredibly beneficial to our lovely gardens! The aforementioned Asian Lady Beetles that decide to nest inside of a house or building are considered to be pests. They are typically attracted to light-coloured buildings where lots of sunlight comes in, and if they become a pest they will nest where it’s warm and out of the harsh winter weather. They’re also difficult to get rid of since they release pheromones (bug “perfume”) to attract other nesting bugs, which look like weird yellow stains. This is NOT easy to clean off of your house, it’s a huge job! They can also trigger allergies and other harmful effects to humans and pets if the infestation is not dealt with for a long period of time. The best way to keep the good ladybugs out in the garden is to cover up any cracks or crevices your home or building may have where they can get in. If the job is too much to handle, or there are too many Asian Lady Beetles hanging out where they shouldn’t, call your local Pest Boss. We’ll help make sure the good ladybugs help you out where they’re really needed and get all the other varmints!